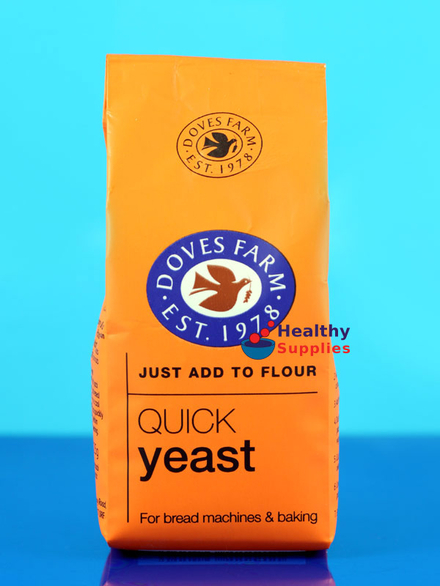 Quick Yeast 125g (Doves Farm) - HealthySupplies.co.uk. Buy Online. Helps bread and cake recipes to rise. Simple to use, just add to the flour. Use 1 teaspoon for every 500g flour. Simply mix the yeast into the dry ingredients of your recipe before adding liquid. Suitable for baking biscuits, cookies, all sorts of breads and cakes. 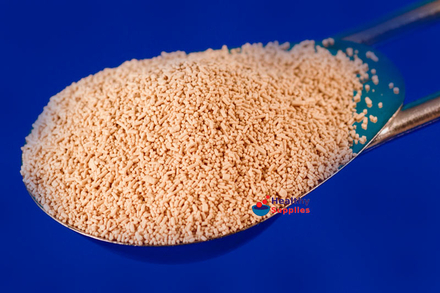 Yeast, rehydrating agent (sorbitan monostearate).